An Active Directory Schema is a description of all directory objects and attributes of the Windows domain. The AD schema reflects the basic structure of the catalog and is critical for its proper functioning. 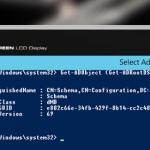 Typically, the AD schema is extended/upgraded for several reasons, the most common of which in many organizations is the implementation of an application that requires an extension of the schema (Exchange, Lync, SCCM) or when you add a new domain controller with a new version of Windows Server. New versions of Microsoft OS contain new objects and attributes, so for their normal functioning as domain controllers, the administrator of the domain needs to update the Active Directory Schema. In this example, we will show you how to upgrade the AD schema version from Windows Server 2012 to Windows Server 2016. The result of the command is to get the ObjectVersion attribute, which is the version number of the Active Directory Schema. In our example, the schema version is 69, which corresponds to Windows Server 2012 R2. The following table lists the correspondence between Windows Server versions and versions of the Active Directory Schema. Active Directory allows to use multiple domain controllers within the same organization with different versions of Windows OS (Windows Server 2008/R2, Windows Server 2012/R2, Windows Server 2016. Since these versions were released in different years, and each new version carries more functionality than the previous one, each operating system has its own schema version. Therefore, when you add a new Windows Server 2016-based controller to an organization where existing controllers are built on Windows Server 2012, you will need to update your organization’s AD schema to the level of Windows Server 2016. In Windows 2008 R2 and lower, to successfully add the controller running a newer version of the OS – you have to manually update the forest and the domain schema version. In Windows Server 2012 and later, when you add a new domain controller, the schema is automatically updated. 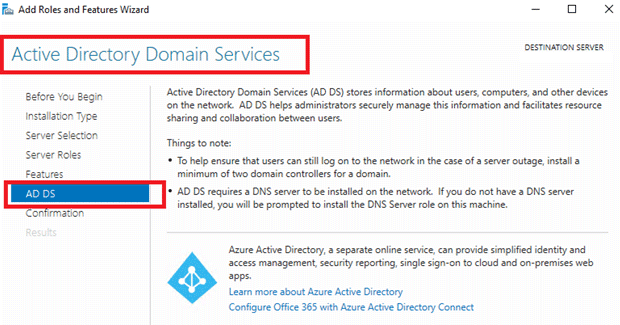 Therefore, the easiest way to update the AD schema version from Windows Server 2012 to Windows Server 2016 is to install a new server with Windows Server 2016 and promote it to a domain controller by installing Active Directory Domain Service (AD DS) role. You can update the AD schema from Windows Server 2012 to 2016 manually without adding a new DC with WS2016. To do this, you will need an adprep utility on the installation media with Windows Server 2016. Run the command prompt with administrator privileges and go to the \support\adprep directory on the Windows Server installation disk. Note. Since Windows Server 2008 R2, the adprep utility is only 64-bit. To perform the forest schema update, the adprep utility must be run on the DC with the FSMO role Schema Master. And to update the domain schema on the DC with the Infrastructure Master role. Domain Admins, in which the Schema Master is located. Also pay attention to the modes of operation of the forest and domain. Domains in the AD forest can have different modes of operation, for example one of the domains can work on Windows 2016 mode, and the rest in Windows 2008 R2 mode. The forest scheme can not be higher than that of the oldest domain. Wait until the command completes and check the schema version, the schema object version should change to 87. After that, you can de-provisioning the old DCs and transfer FSMO roles to the new DC.